"The fully insured and regulated independent residential building surveyors & valuers"
Hello, and a very warm welcome to the award winning MY NEST Building Surveys and Valuations Ltd, the highly rated by customers (“5-star” and “excellent”) family run Royal Institution of Chartered Surveyors (RICS) registered firm of residential building surveyors, valuers, and fully accredited energy assessors serving Yorkshire and the Humber. We are not just another humdrum run of the mill surveying practice. We’re a forward thinking and progressive organisation with impeccable Royal Institution of Chartered Surveyors (RICS) professional qualifications and standards who bring a welcome breath of fresh air and simplicity to the complicated world of property. We have a proven and compliant surveying process and put the quality of our service along with value for money firmly at the forefront of everything we do. There are many advantages when choosing us to do your RICS Condition Report, Home Buyers Report, Building Survey (Structural Survey), or Valuation (including Help to Buy & Right to Buy). We also issue Energy Performance Certificates (EPCs) and investigate specific building defects to resolve any problems you may be having with a property. Looking for a new home is exciting, whether you’re moving or buying a house for the first time. It’s a life-changing decision, and one that can sometimes be stressful. Even when you’ve found your new home, there’s still plenty more work to be done, and that’s when you need to get us on your side. Our expert knowledge will help you to distinguish between a property you think will be your next dream home (and potentially a good investment!) and a property that could quickly become be a very expensive nightmare. For example, Which? (The Consumer Association) found that for those people that did not get a survey, on average one in four had to spend over £2,500 to put serious defects right which would have been uncovered in a Home Buyers Report. For one in ten people it was over £10,000. By contrast, those that did get a proper survey were able to negotiate a reduction in the asking price of the property that averaged £2,000. We are conscious that your home is likely to be your most valuable asset. That’s why if you’re looking to buy, sell, or just stay where you are, it is our mission to help you be confident that your property is safe and hazard free for you and your family to enjoy. Why choose MY NEST Building Surveys and Valuations? We are totally independent thus our inspections and valuations are conducted without bias or favour. Highly trained and diligent surveyors equipped with the latest technology including aerial camera drones. We aim to deliver all reports within 5 working days of survey (usually less). We’re uncomplicated, flexible and competitive. Diversity aware and pet friendly. Rated as excellent by customers. Hopefully you’ve read enough by now to choose us to help you. Simply click or tap on the type of service (listed below) that best matches what you are looking for and when you’re ready to book you can use our 24 hour online appointment booking system located at the top of this page. Alternatively, you can email us anytime at surveys@mynest.online, or call us on 0113 4400 800 during office hours. We promise there’ll be no hard sell, only helpful guidance and practical solutions from a RICS registered firm that strictly adheres to The Royal Institution of Chartered Surveyors (RICS) Royal Charter that requires us to operate “ strictly in the interests of the public”. If you are about to place a property on the market , you will first need an official Energy Performance Certificate (EPC). Energy Performance Certificates (EPCs) are required by law whenever a property is built, sold, or rented. An EPC must be in place before a property is marketed for sale or rent and contains information about the property’s energy efficiency with recommendations about how to reduce energy use and save money. Our Domestic Energy Assessors are fully qualified to issue EPCs for all purposes including the Energy Company Obligation Scheme (ECO). Prices start at only £50 fully inclusive for studios and one bedroomed properties and then £10 per bedroom thereafter. 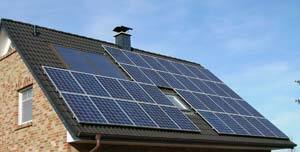 If you require an EPC quickly we offer a sameday or next day guaranteed service if required. Despite the fact that a property is likely to be your most valuable purchase and asset, the vast majority of a properties that are purchased do not benefit from an independent survey, which can (and does) result in unexpected and expensive works following completion of the purchase. Many buyers are misguided and only rely on the valuation report commissioned by mortgage providers which is very basic and is only designed to satisfy the financial considerations of the lender. This is where we are able to help you stop making what could be a very costly mistake. We specialise in Home Condition Reports which contains information about services, roofs and high-level areas etc. For a number of reasons the SAVA Home Condition Survey is by far the most popular report we provide. As we are completely independent our reports are solely for your benefit and are always a true and honest appraisal of the property. A detailed overall report on the property. 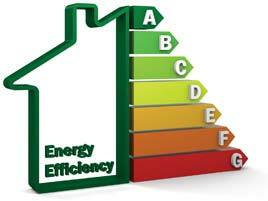 An accurate and up to date Energy Performance Certificate (EPC). A detailed report on the structural condition of the property. A list of potential defects and if further investigations and repairs are required. An overview of the property’s services and recommends further investigation if required. Any matters of concern that your legal advisors may need to address. A minimum sum that needs to be insured for rebuilding costs in the event of loss. Details any other circumstances that may affect your enjoyment of the property. This survey is an absolute must if you are wanting piece of mind when purchasing a home and costs as little as £299.00 fully inclusive. RICS HomeBuyer Report will give you information on the condition of your property and advice to your Solicitor. What the RICS HomeBuyer Report has in addition to the RICS Condition Report is our professional advice on the issues that may affect the value of your property, plus a market valuation and insurance reinstatement cost. There will also be a dedicated section to provide advice on repairs and ongoing maintenance requirements. The RICS HomeBuyer Report uses a red, amber, green colour coding system, so as with most things in life, lots of red means be warned. Examples of defects the RICS HomeBuyer Report may pick up include damp, timber and structural movement, and concerns regarding the grounds. Defects that are serious and/or need to be repaired, replaced or investigated urgently. Examples of defects the RICS HomeBuyer Report may pick up include damp, timber and structural movement, and concerns regarding the grounds. Is the RICS HomeBuyer Report for me? This report is perfect for providing you with detailed information on the most urgent or serious issues with your potential purchase. When you receive your RICS HomeBuyer Report the potential defects of your property will be highlighted, so this means you’ll be able to judge the value of your purchase in line with any budget you may need for future works. Investing in a RICS HomeBuyer Report, before purchasing your home, will help you predict any future maintenance expenditure, repair or restoration costs. The RICS Building Survey, also known as a structural survey, is the supreme surveying report. When choosing this report you will receive comprehensive structural report and property inspection. Your Building Survey will outline all the potential problems with your purchase, a description of all the defects, a list of repair options and details of any serious and dangerous risks. When you purchase a RICS Building Survey your report will tell you how your property has been built, which materials have been used and their expected performance for the future. All visible defects will be reported along with highlighting serious flaws and problems from hidden defects. For every concern raised you will receive all the repair options available to you, likely timelines for repairs and the consequences of not acting to help you make an informed decision. It may be necessary to obtain further specialist advice and your report will make recommendations when this is the case. If you are planning to purchase a property that’s older, run-down or a building that has been altered then this is the report for you. If you’ve got plans to alter the structure of the property in any way or you’re making a substantial investment then this report will give you peace of mind by offering the fullest possible professional advice on every area of your property. Mortgage Valuations are not the same as surveys. The RICS Condition Report will give you a clear and concise “snap shot” of the condition of your potential purchase on the date of inspection. This is your report, prepared independently for you and not your Lender. The RICS Condition Report is a survey report which includes an inspection of your home, and there is also a section which provides you with advice for your Solicitors and a clear summary of the key risks associated with the purchase. The report uses the red, amber, green colour coding system to rate individual elements of the property and highlight any areas of concern. The report covers all aspects of the property, risks and legal considerations. The RICS Condition Report will provide you with an overview that will help you understand the construction of the property you are buying, any serious problems needing attention, and any areas of further investigations that need to be undertaken prior to commitment to purchase. This new product has been developed to offer you an interim report that is more than your Lender’s mortgage valuation, but less than a RICS HomeBuyer Report. We know that times are tough at the moment and that buying a new home is an expensive business. But we also believe that the investment you make in properly surveying your home now is one that will pay dividends in the future. We can survey and issue wall tie reports to BRE 401 standard where wall tie failure is suspected in a cavity wall. External walls are normally constructed using 2 separate walls (an inner leaf and an outer leaf) built up to 300mm apart to create a cavity. To stop these walls moving apart a wall tie is placed across the cavity to tie both leaves together. A wall tie is normally made of metal which is coated with zinc or bitumen. Modern wall ties are usually made from stainless steel. What is wall tie failure? Wall tie failure is the corrosion of the wall tie and not as most people assume the actual breaking of the tie. The metal wall ties rust over time, this rusting will cause the tie to expend up to 7 times the original thickness. Assuming a tie is approximately 4mm when new it could expand up to 28mm when corroding. The pressure caused by the ties expanding causes horizontal cracking and bulging of the damaged walls. In extreme cases the damaged walls can collapse, especially in high winds. Different types of flood can also have different effects in terms of their impact, damage and cost, both financially and to the people who experience them. A flood risk assessment is a requirement of all planning applications for major developments in areas at risk of flooding from rivers and water courses (fluvial). A flood risk assessment may also be requested by the planners for proposed sites in low risk areas where there may be a threat of flooding from another source, e.g. surface rain water (pluvial). We provide a range of assessment levels based upon the location of the site, which flood zone the site is in, the nature of the development, and the complexity of the flood risk involved. We also offer a basic flood risk assessment for buyers of existing houses where there could be a risk of flooding. Not only do we provide independent valuations for home buyers and sellers but we also provide accurate and time sensitive assessments for private and corporate clients, pension scheme trustees, SIPP and SSAS providers, loss adjusters, solicitors, and accountants. Because we are independent Royal Institution for Chartered Surveyors (RICS) valuers we surpass all the criteria required by the government (Target) to provide Help to Buy valuations. 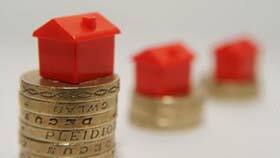 We are also qualified to undertake shared ownership and equity loan valuations. Most domestic house insurance policies require that the sum assured is the full rebuilding cost of the property. It is the responsibility of the insured to get this figure right. We will survey the property and provide you with an accurate cost of rebuild so you can be certain you are adequately covered. Damp and damp proofing are without doubt some of the most frequent problems encountered by home owners. Each year, a typical home has to deal with an average of 25,000 gallons of rain water – it comes then as surprise that damp proofing and damp are a major headache for many householders. Damp can also prove to be an ideal breeding ground for mites and black spot mould which has been scientifically proven to aggravated respiratory health problems such as asthma. 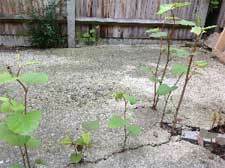 The effects of damp can also make a property cold, smelly, and unappealing to live in. Our damp surveys will identify the presence of any damp and recommend the most effective treatment and solution to eradicate the problem. Woodworm is a wood-boring insect or beetle attack that can cause structural damage and is unsightly. There are a number of wood boring insects and beetles that attack the timber in properties. The life cycle of the wood boring beetle is normally always near completion before most property owners are even aware they have a problem. After mating the female beetle will lay her eggs into cracks and on the rough surfaces of the structural timbers, which will then hatch and begin tunnelling into the timber. The number of eggs and larvae will vary according to the species. Larvae will pupate and after and after several weeks the adult beetles will develop and commence boring their way out of the timber mate. Having mated the female wood beetle will again lay her eggs on the timber and the life cycle starts all over again. Our woodworm survey will identify any woodworm problems and recommend the most effective treatment and solutions to eradicate the infestation. Dry rot is becoming an increasingly widespread concern for homeowners across the UK, standing as the most common cause of timber damage in domestic properties. More than just being a hazard to your home, if not treated dry rot can also represent a danger to the health of you and your loved ones. What makes dry rot the most serious wood rotting fungi, is that it has the ability to travel through building materials, potentially dispersing extensively through the whole of your home. Dry rot is a harmful and damaging process that breaks down structural timber causing a lack of strength and could ultimately result in the failing of a properties shape and strength. There are a number of areas to look out for dry rot with the most common places being concealed damp areas. These can stem from a range of sources including water leaks, both internal and external, from drainpipes, rainwater penetrating through roofs or the failing of a damp proof course. Our surveyor will access any difficult to reach areas in order to identify the presence of dry rot and recommend suitable measures to eradicate the problem. Radon is a naturally occurring radioactive gas released through the decay of uranium which is present to some degree in all soils and rock. The amount of gas released varies greatly depending on where you live in the UK and is more likely to be found in areas where the geology features concentrations of granite and limestone. We all breathe in radon to some extent and it accounts for half of the radiation dosage each of us receives. Our surveys test for the presence of radon and will recommend measures to reduce levels of the gas using a variety of methods. Landlords of residential accommodation have legal responsibilities for combatting Legionnaires Disease. Health and Safety legislation requires that landlords carry out risk assessments for the Legionella bacteria which causes Legionnaires’ Disease and thereafter maintain control measures to minimise risk. Most rented properties will be low risk but it is important that risk assessments are carried out and control measures introduced. We can undertake regular risk assessments and compile a property log book to satisfy the Health and Safety Executive. 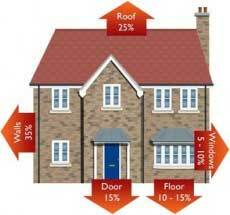 Since 1971 subsidence cover has been included within residential buildings insurance policies. Subsidence as defined within the terms of an insurance policy is usually downward movement of a property associated with heave, landslip and water damage (typically leakage from below ground drainage or water supply services). Ground and foundation movement and the associated damage brought about by these are what can affect the structure of a building and is typified by stepped diagonal cracking, often around door and window openings. However, depending on the structure and extent of the movement other patterns of damage can manifest. This is, of course, by no means the only principle cause, nor the only possible cause of subsidence damage, problems occurring through major foundation movement can also be due to other causes. For example, there may be adverse groundwater affects on loose or granular / sandy soils, damage can occur through landslip or retaining wall failure. There may be subsidence due to the property being in a mining area, collapse and movement can happen due to solution features in chalk or due to settlement or failure of made-up ground. Our structural engineers regularly advise insurers and loss adjusters on all aspects of subsidence, including the initial appraisal and investigation. We follow this up with recommendations for the design and control of any remedial measures. An overview of the property and site. Detailed description of the damage and its’ severity. The definitive cause of the subsidence damage. Further recommendations for investigations, mitigation and repair. The majority of domestic insurance policies cover subsidence related damage and our reports are tailored for submission to your individual insurer. Arrange and report of factual site investigations. Arrange and report on arboreal investigations. Specify the works required, including a compilation of a schedule of repairs. Project management of private or insurance company appointed contractors. The cost for a professionally produced insurance subsidence survey and report starts at only £250 and may well be covered by any subsequent insurance claim. If you are looking to install a renewable energy system our technical surveyors can give you an in depth viability report of all the systems that would be suitable for your property and if you qualify for any Government financial incentives. Once you have decided which system (s) you are going to install you can then use this report to negotiate with installers and get the best deal available. As their natural habitats recede, many bats have taken to roosting in houses and building development projects to try to keep warm and dry. Bats native to Britain are small and prefer to live in roof voids or the tight spaces in the attic space and between window frames. Attempting to capture, injure or kill a bat is a criminal offence under the Wildlife and Countryside Act (1989). If you are planning to undertake any building works that you think may disturb a bat roost then you need a scoping survey and risk assessment before any works begin. We work with some of the best licenced ecologists in the UK to solve this difficult problem. The presence of bats does not pose a risk to the structure of your property as they don’t build nests or chew through wood, wire or insulation as some more destructive animals will. There’s no known health risks associated with their droppings and generally speaking they are very clean animals. Bats are also seasonal visitors and are unlikely to live in your roof all year round, but may return year after year. Many homes lose heat through thermal bridges, poorly installed, damaged or missing insulation in the ceilings, walls and wall-ceiling junctions. Increased external wall and roof temperatures show where heat is leaking from and where the potential is for improvement. Our non – intrusive thermographic survey will identify any temperature variations from using a thermal imaging camera that sees heat instead of light. It shows heat loss from a building as spectrum of colour, white being the hottest part of a building moving down to red, then blue and black is the coldest. Your report will come with a detailed advice about to improve the energy of your home and how to solve any damp issues created by cold surfaces. Japanese knotweed is a flowering plant that was first introduced to Britain from the Far East during the 19th century and has gone on to become one of the most destructive plants in the UK. Back in Japan, its manifestation is kept in check by indigenous insects. But in the UK these insects don’t currently exist, meaning the knotweed is left to grow rapidly – up to 10cm a day, destroying things in its path… which is why having it near your property becomes a serious problem and complicates the purchase or sale of the property. We deal with Japanese Knotweed for clients on a regular basis from identifying its presence to project managing its complete eradication in accordance with the Wildlife and Countryside Act (1981). So first things first, try not to panic, you’re not the only person facing this challenge. If you are selling or buying a property that you think may be affected by Japanese knotweed it would be prudent to get one of our Japanese knotweed surveys. A survey will provide a formal Japanese Knotweed identification and an accurate record of where the knotweed is located and the true extent of the contaminated area. If you’ve bought a new-build home, you’re probably expecting it to be absolutely perfect. Unfortunately, though, even the best new homes can have issues. The good news is that, aside from occasional horror stories, most problems with new-build homes are cosmetic and easily fixed. For that reason, a traditional survey is likely to be a little excessive – and this is where a snagging surveys come in. A snagging survey is designed to check for problems with a new-build home. Developers should fix problems identified in snagging surveys quickly – ideally before you move in. Unlike traditional house surveys, snagging surveys should pick up everything from minor issues, such as a door that doesn’t close properly or a worktop with a dodgy finish to more serious, structural problems. You should ideally have the snagging survey done in the period between building work being finished and your legal completion date, so the developer has time to fix any snags before you move in. However, some developers won’t allow snagging inspections to be done before completion. If this is the case with your purchase, you should book in the snagging survey as soon as possible after you’ve moved in. Having said that, you can technically have a snagging survey done at any time during the first two years of living in a new-build home, and the developer must repair any defects reported during this period. Snagging surveys cost from £300. Given that you’re investing hundreds of thousands of pounds in a new home, and the survey can spot major problems that may otherwise go unnoticed until your property is out of its warranty period, this is money well spent. Our surveyors will usually report their findings directly to the developer, increasing the likelihood of issues being fixed quickly and (hopefully) taking some stress out of the process for you. A schedule of works (also known as a Construction Phase Plan) is a document detailing all works required to complete a building project and allows for the pricing by contractors. The schedule of works forms the main content of the tenders issued to contractors for competitive quotation. When considering works, be it due to essential repairs following subsidence, fire, flood or impact damage or your property requires renovations, a schedule of works is recommended. This will ensure that the scope and type of repair is correctly specified and removes all ambiguity when contractors are asked to submit quotations. We can provide a schedule of works for all types of building projects large or small which will comply with all current health and safety legislation including CDM 2016. Embarking on a construction project, be it due to essential repairs following subsidence, fire, flood or impact damage or extension or renovation of your property can be a daunting prospect. We can fully project manage the works from concept to completion to ensure a stress free economical, fully compliant, and timely project. Although we recommend that with all fire, impact and flood damage, your first call should be to the property insurers, we can assist with you if your property has been damaged by fire, impact or flood. Fire, impact and flood damage can be devastating and can often result in damage that is not immediately apparent. Initial assessment of the building and report for insurers. Arrange for any necessary temporary works, such as boarding, pumping out or propping. Specification and schedule of works. Issuing and assessment of competitive tender documents. Full project management and supervision of the repair work. Thinking of building a new property or extending an existing one? Don’t know where to start? Don’t worry we are here to help. Initial assessment of the building/plot. Planning applications and building regulation requirements. Specifications and schedule of works. Boundary disputes are an extremely complex area of law. Many people seem to think that the boundary between theirs and the neighbouring property runs in a straight line down the middle of the land and is the same as the Land Registry plans. However, this is mostly not the case. If you are having problems relating to a boundary (including party walls) give our specialist Neighbour Dispute team a call and discuss your case one of our boundary law experts. We have extensive experience of rent reviews and dispute resolution for both landlords and tenants. We also have successfully helped in a number of cases where the deposit refund has been in dispute. Whether you are a tenant or landlord we can help with all types of dispute. Our specialist residential service charge management services range from management companies comprising of small bodies of flats dealing with common area servicing, maintenance and insurance, through to large residential estates where private roads, sewers, lighting and landscaping is controlled by the management company. Advice on the initial services to be included is a service charge and advising on the structure of any legal documentation. Acting as company secretary to any management company formed to deal with all company administration. Organisation and supervision of services to be provided with private and statutory providers. Preparation of service charge budgets. Collection of service charges which are then held in a fully protected individual client account. Co-ordinating Annual General Meetings and liaising with residents committees. Co-ordinating long term maintenance (reactive and planned) plans and policies. Handling disputes within management companies as they arise. If you are looking to take legal action for example, against a builder who has done substandard work or you have been misled when buying a renewable energy system then we may be able to help. An expert witness or professional witness is a witness, who by virtue of education, training, skill, or experience, is believed to have expertise and specialised knowledge in a particular subject beyond that of the average person. An expert witness may be jointly instructed by both sides if all the parties agree to this, especially in cases where liability is relatively small. Our experts have sufficient expertise in a wide range of property matters to prepare independent reports for the courts and advise clients about their rights. Call us to discuss your case. What is air tightness testing? Air tightness testing (also known as air pressure testing) refers to the level of air loss through the building envelope. Air testing essentially assesses the amount of egress in the building from things such as cracks, holes and gaps that allow air to escape from the building and thus significantly reduce the ability of the building to retain heat. Achieving a good level of air tightness is vital to the energy efficiency of the building. Building regulations Part L1A regulates all new dwellings and Part L2A regulates non-residential buildings, such as offices. The process of air testing shows the buildings’ performance at retaining conditioned air and the loss of conditioned air through the structure of the building. It also maximises the retention and minimise the loss of conditioned air, as well as maximising the energy used to heat and cool buildings whilst reducing the overall emission rate of a building. We provide a full range of air tightness testing with recommendations for improvement and compliance certification. The Party Wall etc Act 1996 imposes a legal requirement on building owners proposing to undertake building work to serve notices on the owners of adjoining properties where the building work meets certain criteria. Notices that may be served are 6 metre notices, 3 metre notices, line of junction notices and party structure notices, in many cases more than one notice is served to ensure that all the requirements of the Party Wall Act are met. The purpose of serving notices is to ensure that adjoining owners are fully aware of the proposed building works. This enables a ‘framework for development’ to be agreed between their respective surveyors and a Party Wall Agreement (Award) produced enabling work to proceed in an agreed manner minimising inconvenience to the adjoining owners. We are experienced in managing a variety of Party Wall scenarios. This includes serving notices, preparing condition surveys of adjoining owner’s properties, acting as the building owners surveyor, the adjoining owners surveyor and as agreed surveyor. Our experience in Party Wall commissions allows us to produce succinct accurate and meaningful agreements with a timely and cost effective approach. Part E of the Building Regulations for England and Wales, requires sound testing to be carried out in all new-build dwellings and conversions that create two adjoining dwellings with either separating walls or floors. We will carry out the testing and provide compliance reports for submission to your building control officer. MY NEST Building Surveys and Valuations Ltd.